Thunder bellowed and rain pelted off the metal walls that make up the storefront at Tigges Farm, but Kathy Rickart was far away from the storm. Her mind was in 1986, the year stomach cancer took her father. She was in 2008, when her mother succumbed to pancreatic cancer. Then, as her eyes met the wall separating her from the torrential downpour outside, she was back in the present. Outside, pink pumpkins sitting on a bale of hay, with rain bouncing off their thick, strangely-colored rinds, each pay testament to a loss — to a hope. And though the seeds are expensive and the yield is small, to Rickart and her siblings, growing pumpkins to benefit breast cancer research through the Pink Pumpkin Patch Foundation is worth it. 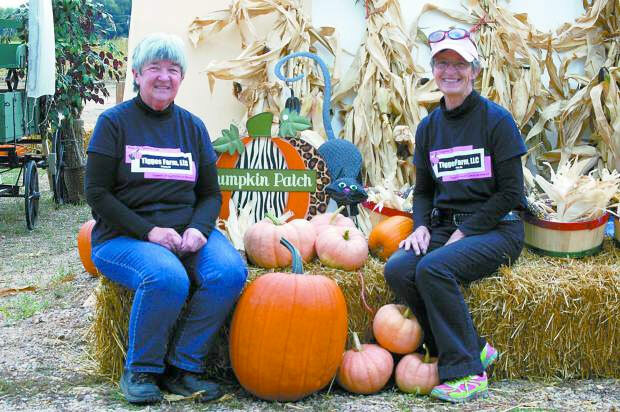 The Pink Pumpkin Patch Foundation was founded in Rocky Ford in 2012. Using DP Seeds’ hybrid seed variety, called Porcelain Dolls, they began a seed distribution program for farmers who wanted to grow a unique product with philanthropic impact. For every pink pumpkin grown, 25 cents is donated back to the foundation, which then distributes the funds to various organizations that support breast cancer research and treatment. Tigges Farm, located in north Greeley, Colo., has grown the pink pumpkins for two years.